Price: Subscriptions range in cost from $6.95 to $12.95 per month, depending on how many months you are paying for at a time. Owners: Babbel was founded in 2007 by Markus Witte, Thomas Holl, and Lorenz Heine. The company currently employs about 350 people in 28 countries. Babbel now offers online language courses for learning Danish, Dutch, English, French, German, Indonesian, Italian, Norwegian, Polish, Portuguese, Russian, Spanish, Swedish, and Turkish. 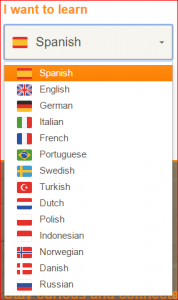 In addition, the Babbel interface itself can be customized for learners who currently speak English, French, German, Italian, Portuguese, Spanish or Swedish. Courses can be studied online on your computer, or downloaded to your tablet or smart phone. In each language you can choose from a wide variety of courses. If you are studying Spanish, for example, you can choose from 6 beginner, 4 intermediate, 6 grammar, 6 listening and speaking, 6 countries and traditions, 5 specials, and 31 words and sentences courses. To develop correct pronunciation, you have the opportunity to listen to and repeat words, phrases, and sentences spoken by native speakers. The first three listening and speaking courses focus on pronunciation. And, the rest of the courses allow checking your pronunciation via speech recognition as an option. Babbel employs a variety of types of exercises, such as: matching a word or phrase with a picture, filling in a blank by unscrambling letters, or reading a passage and answering questions to show whether you comprehended the reading. All of the questions offer immediate reinforcement if you were right or correction if you were not. I appreciate the emphasis on comprehension, more so than on translation. In the grammar courses, I like the way the grammatical forms are explained primarily in the target language and provide both examples and exercises to make sure you understand. The vocabulary tab is designed to review words and phrases with spaced repetition; the intervals between repetition increase as you consistently recall the word(s) or decrease for those you are having difficulty with. Lessons generally conclude with conversations which illustrate the lesson you’ve been working on. There is clearly an attempt to focus on common social situations. The Babbel program tracks your progress on individual courses and allows you to print out certificates for courses you complete. The home screen shows clearly your progress in your current course. However, if you are working on multiple courses simultaneously, you could be a bit lost. In addition, I appreciate that some of the lessons and courses offer insight into the traditions and culture of the countries in which your target language is spoken. There is not the true interactive audio discussion that comes with a live tutor. While lessons offer to repeat the questions you miss, they don’t really adjust to present additional work on those problematic areas. Advancement is based on your own sense that you are ready for another course, rather than any clear testing/evaluation paradigm. I would say Babbel is appropriate for beginning through intermediate language students. One feature I appreciated was being able to try out lessons in various courses to figure out the best place to begin. The Babbel program itself is very intuitive. You really don’t need training to use it. And, if you hesitate in responding, it sometimes displays a pop-up box telling you what to do next. Babbel is also available via apps designed for both iOS and Android based tablets and smart phones. One interesting aspect of Babbel is the option to connect with the Babbel community via their social interface. You can invite people to become friends or search for those with high scores. There are discussion boards for introductions, travel, Q&A, and Help. You can also send private messages to your friends. And you can invite friends not using Babbel to try it out for one week free. Help is available via the Q&A or Help boards mentioned above, which are basically threaded discussion forums. Babbel also provides a very helpful and extensive FAQ page, as well as the ability to ask questions via contact form. Babbel allows you to take one lesson in any course free. After that, you may continue on a subscription basis. Babbel charges for $12.95/mo, $26.85/3 mo, $44.70/6 mo, or $83.40/12 mo. You can also cancel within 20 days and get a complete refund. Learn a language w/Babbel, signup for a subscription as low as $6.95/month! I like it! I have a feeling this program would be easy to stick to – a major consideration. The price seems appropriate and allows you to cancel and switch to another program after a time, rather than being locked into a major investment. Signup with Babbel Today and Get Your First Lesson Free . Nice review. I’ve worked with Babbel before, and agree with your opinions. Babbel is pretty cool. As you stated, this product is best for beginners and intermediate students. I went there because I was dating a girl who knew very little English, and I wanted to communicate with her better. It really didn’t help much, but I learned a lot about her language I didn’t have a clue about before. Products like these tend to be as good as you can make them be. As you said, it lacks the benefit of a physical person you can talk to, and internalize abstractions with. So much information on a language is revealed by feeling it. I think this is a good technical product though, at a good price. 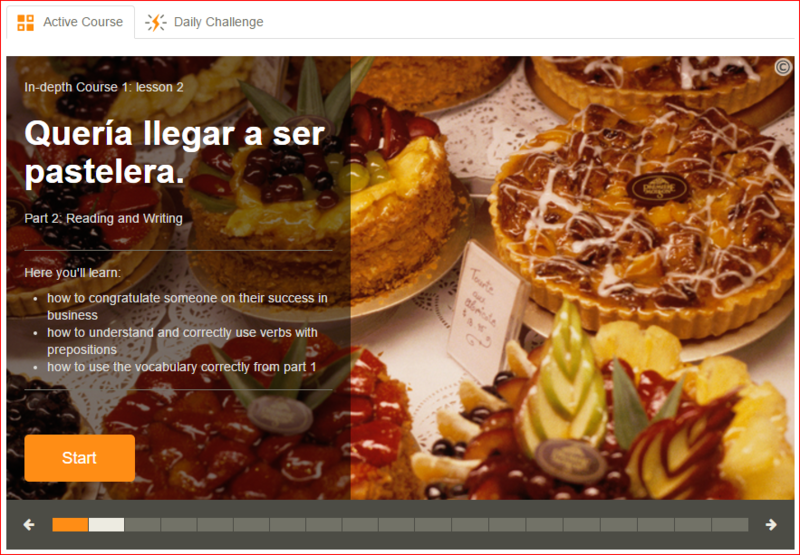 Babbel is an excellent course, especially if you pair it with something like Conversation Countdown and Italki. You really need to begin actually conversing with native speakers as soon as possible. I just finished going through your site. Great idea for a site. You have it well laid out and stock full of great information that is just what someone looking to learn a new language needs to know. I recently used the DuoLingo app on my phone. My daughter is in her first year of Spanish and she likes to try out her new learned words and phrases with the guys at our favorite Mexican restaurant. I am trying to get in on the fun. When I searched the apps I was offered a long list of available apps and it is hard to know which one is worth my time. This site is perfect for finding which program is right for me or anyone who needs such info. I’m glad that you are finding our site helpful as you consider your next steps in learning Spanish. DuoLingo is certainly a good place to begin. You also need to work on listening and speaking. Depending on your lifestyle and best methods of learning, you may want to try Babbel, Rocket Spanish, Glossika, or perhaps Conversation Countdown and Italki. The main thing is to read the reviews, choose one, and get started rather than spend too much time analyzing. If you have any specific questions for me, just e-mail and I’ll be glad to respond. Good stuff right there. Thanks for the recommendation. I’ve had the experience of using products like Pimsler and Rosetta Stone language learning program and they have their own cons and pros to them, but I also believe that there are new products out there that have benefits. 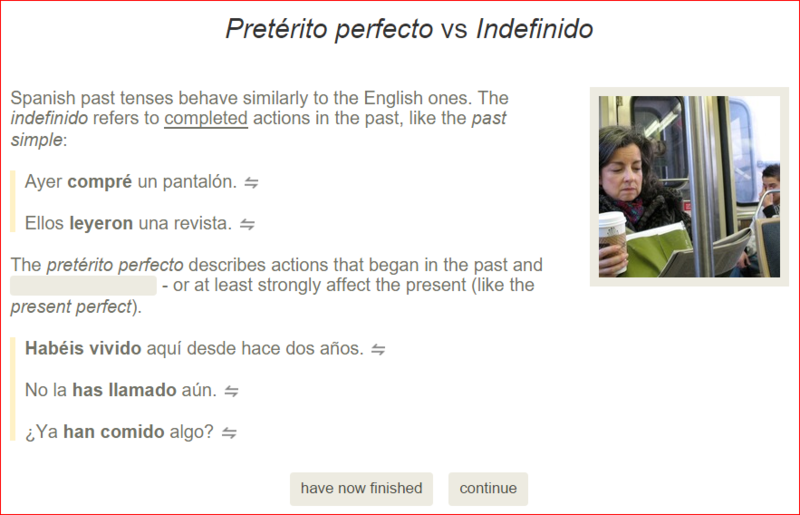 If I ever try to tackle my learning of Spanish again, I’ll keep in mind this recommendation! I recently heard someone say, “the best language course is the one you start and stick with.” There’s a bit more to it than that, but if you don’t stick with it, even the best program does you no good. A big piece is to find a program you enjoy, that fits your life and learning styles. I wish you the best in getting back with it! HI, I like your site. I have looked into learning new languages before which would be a great skill, but I always get discouraged and stop. Your site offers helpful advice in the strategies of learning a new language, and these tips I think anyone could follow and then see success. Hi Summerly! Unfortunately, a stage of discouragement is often a part of the process. Dana recently wrote an article, Ten Stages of Language Acquisition, that deals with some of the emotions, challenges, and joys to expect along the way. I encourage you to pick a language, choose the method which fits best for you, and get started. And come back to TalkWithMyNeighbor.com to share your questions or for encouragement. Hey, have you tried out the Babbel version on the phone? I’m wondering if it’s better than or the same as the computer version in terms of ease of use. The “filling in the blank by unscrambling letters” sounds pretty interesting. I’ve never seen that technique used before to help learn a language. It sounds like a great way to learn to spell the new words. Hey Nick! David is the one who wrote the review on Babbel, but to answer your question, I downloaded the “FREE” version on my phone and went through a couple lessons. You made me curious with your inquiry. The free version is limited to how many lessons it will allow, but as for ease of use, I would have to say it was very easy to use. I did encounter a little difficulty with the microphone picking up my voice correctly, so I got a few of the exercises “wrong”, when I was pretty sure I had said them correctly. It was also about 24 hours after downloading that I got an email offering the different packages to have more access for $X per month! Let me know what you think about the app!